Motivated seller. Great opportunity to own your own vineyard and winery, complete with large-scale production facility, tasting room, banquet facilities, event facilities, comfortable and spacious residence, stable and much more. 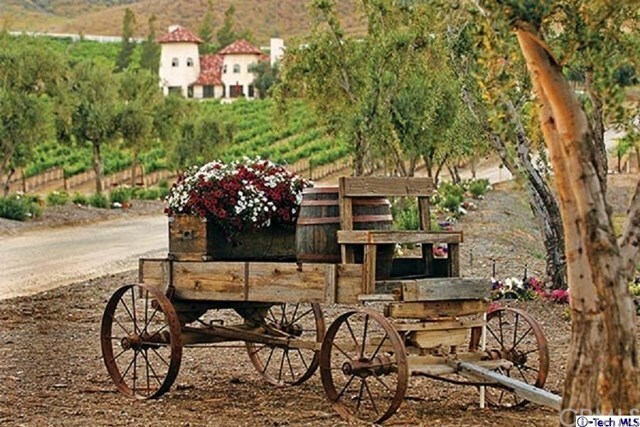 This Gem in the heart of Temecula's Wine Country offers you a dream lifestyle as a winemaker, business owner, and land owner. The Mature Vineyards and other amenities will enable you to live out your dream existence and own a property at the center of Temecula's wine growing region. The main residence has five beds and three baths with a swimming pool and spa, and sits on a gentle slope overlooking the vineyards. The wine club members of 'Keyways Winery' remain a loyal base for the business. There is scope for numerous new business operations such as turning the residence into a bed'n'breakfast and to further obtain a license for an on-site kitchen/restaurant operation. The location attracts multiple visitors and the property is conveniently located near schools, shops and highways. Directions: From CA-91 E exit 51, merge onto I15 South for 38.1 miles. Take exit 58 for CA-79 South for 0.2 miles. Turn left at CA-79 South/Temecula Pkwy for 5.3 miles. Turn left at Anza Rd for 0.5 miles. Take the second right on to De Portola Rd for 2.2 miles.